Dennis kick start 2017 bowls seminars. Dennis has successfully kick-started their 2017 series of bowls maintenance seminars, after the first two were recently held at Attenborough Bowls Club in Nottingham and the Ye Olde Knowle Bowls Club in Birmingham. 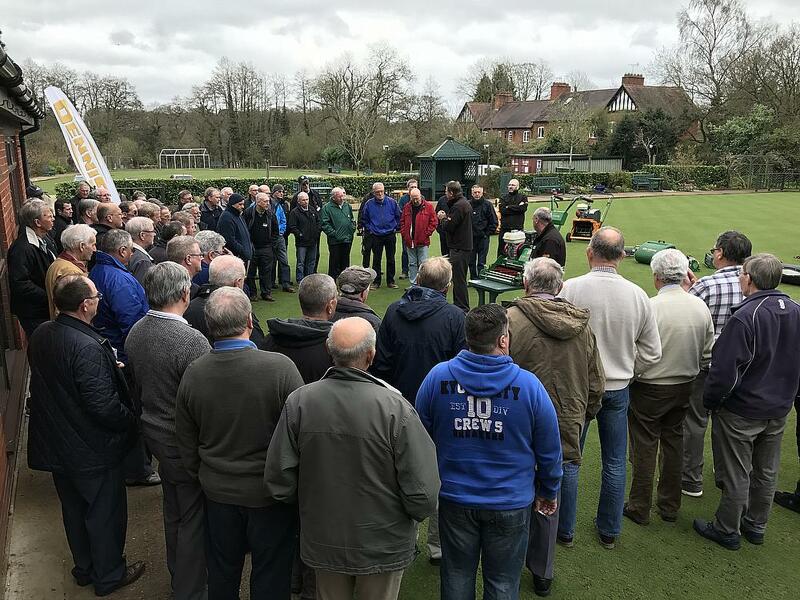 As a key event for those who are tasked with maintaining bowling greens, over 150 delegates made their way to the two seminars. Following a warm welcome from Jason Briggs, area sales manager for Dennis and SISIS, seminar delegates heard from Alan Lewis, a leading sports turf consultant, who offered guidance on the maintenance of a bowling green. In his presentation Alan discussed best practice including tips on brushing, scarifying, spraying, verticutting, aerating, watering and also revealed how certain renovations can significantly improve green speed. Alex McDermott from Vitax Amenity and Paul Moreton from Germinal offered valuable insights into how to select the correct seed and fertiliser for a green. Phil Brown, president of the British Crown Green Bowling Association (BCGBA) then provided an update on the recent developments in the world of crown green bowls. Delegates then stepped on to the green to hear from Andy Walker, field support manager for Dennis and SISIS, on how to get the best performance from a mower, before a complimentary lunch was served. Lunchtime proved, as always, to be a great networking opportunity as delegates got the chance to meet and greet one another as well as talk to seminar sponsors Germinal, Midlands Grounds Machinery, Platts Harris and Vitax Amenity. After lunch delegates then made their way into the spring sunshine where an on-green demonstration commenced. The demonstration not only provided a perfect opportunity to see some of the sport’s best maintenance equipment in action but experts from Dennis and SISIS, Midlands Grounds Machinery and Alan Lewis offered some fantastic tips on how to prepare and maintain bowling greens. The seminars concluded with the hugely popular Turf Clinic Q&A session, which allowed the delegates to ask advice about their own projects or any issues that they may have had. Please contact Roger Moore on 01332 824777 or email roger.moore@dennisuk.com to enquire about upcoming seminar dates.